Through the decades, clients like you have enjoyed our excellent workmanship, superior service and quality products. We create gardens for living and offer service for life. Since 1989, we have offered residential builders and homeowners a full range of landscape design, installation and maintenance services. 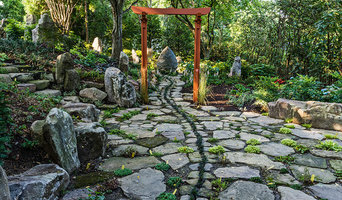 Thomas Tait Gardens, LLC is a management firm specializing in garden design and construction, horticultural consultation, and grounds maintenance. We are a landscape architectural design company located in Northern Virginia, specializing in the development of upscale residential poolscapes, hardscapes & landscapes. This is my great passion. I love working closely with my clients to come up with artistic solutions that will transform their personal spaces into places that will inspire and enrich their lives. For over 25 years Mark Simpson's appreciation for the outdoors and enthusiasm for exceptional design has brought heart-felt testimonials from families throughout Maryland, DC and Virginia. We strive to create meaningful spaces that speak not only to our client’s vision but to how the space will function now and in the future. Please contact us to get started creating your perfect place. Barbara Balman has been designing and building gardens for over 20 years. She creates and unifies sustainable and ecologically balanced environments without compromising design. Katia Goffin Gardens aims to design brilliant harmonious outdoor spaces. We are a small boutique design and management practice with a thorough acquaintance. Over the past 27 years Scott Brinitzer Design Associates has developed a Landscape and Garden Design Practice that specializes in creating elegant, sophisticated, gardens that meet the practical and aesthetic needs of out clients while blending harmoniously with the houses and grounds with which they all matched. Principal Designer, Scott Brinitzer, provides carefully crafted design results along with assistant designers, Brendan Kenny and Vince Pollino. We offer a range of services including Landscape Architecture, Garden Design, Landscape Installation to the discerning residential client. Our expertise in both design and landscape installation give us the ability to not only envision beautiful spaces, but allows us to guide the entire garden development process, from concept through construction. The relationship between outdoor and indoor living, and the harmonious integration of the two, demands the level of attention to detail and expertise that we bring to each project. We strive to accommodate the aspirations of our clients by providing superior designs and professional quality installations. Professional landscaping anchors a house to the site, connects it with the environment and creates a welcoming entrance to a home. 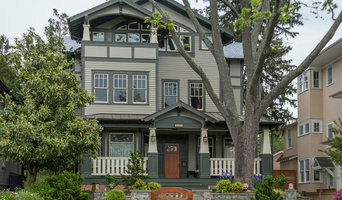 A Washington landscape architect or designer works with living plants as well as building materials to design for future growth and maintenance as well as the present visual appeal. Landscape architecture is very regional, so look for a landscape designer in Washington D.C., DC that’s familiar with the local climate and plant types that do well there. 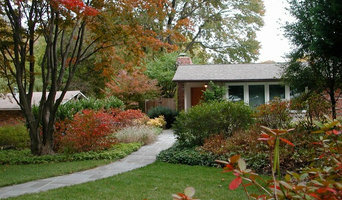 Start here to learn more about the landscaping services in Washington D.C., DC that will help create your dream garden. The work of this outdoor professional includes most everything surrounding a home's exterior. A landscaping architect can even work with the home architect to choose the right spot for your Washington D.C., DC house. From there the Washington landscaper will develop preliminary concepts for your front or backyard design based on individual needs including the climate and activities that will take place, as well as layouts and planting plans. Landscape architects will also design any structures or outbuildings that will be added to the space. Any grading changes that will be added to the yard are also the responsibility of the architect. This includes any drainage modifications. An engineer can also be responsible for these tasks, but licensed District Of Columbia landscapers are fully capable. Like building architects, they will produce preliminary concept drawings as well as detailed construction documents and planting plans. Three-dimensional renderings and illustrative plans are all supplementary. A Washington landscaping designer generally will have ecological, aesthetic and technical training, which helps them maximize the potential of your outdoor space. Keeping in mind both style and functionality, garden designers analyze your architecture and yard to produce a plan that may or may not include location and materials for walkways, patios, water features, fences, garden aspects and more. 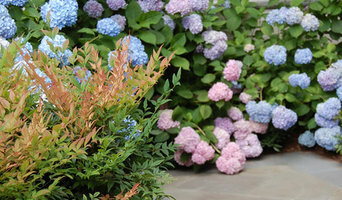 In addition, a landscaper in Washington D.C., DC will carefully assess your geographic region to choose plants, trees and flowers that will flourish naturally, as well as address concerns such as drainage, screening and soil conditions. Certain landscape designers only help with the planning portion, while some may deliver the plans and then oversee a hired landscaping contractor. Others — typically following a design-build approach — take care of both the design and all aspects of the landscape architecture and construction. 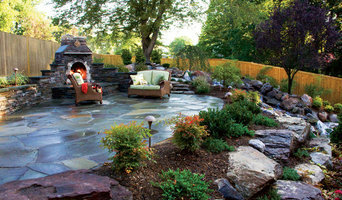 Before you hire a District Of Columbia professional landscaper, consider the scope and emphasis of your outdoor project. Landscape architects, who typically hold advanced degrees in their field, are trained to develop comprehensive structural plans that include plants, hardscaping, water use, drainage and more. Landscape designers typically specialize in the aesthetic and horticultural, rather than structural, side of yard and garden planning. They might or might not have advanced training. Even within their fields, a garden designer may specialize in hardscape- or vegetation-focused designs. In some cases you might need to hire additional help to get the outdoor space you want. Here are some related professionals and vendors to complement the work of landscape architects & landscape designers: Landscape Contractors, Garden & Landscape Supplies, Tree Services, Gardeners, Lawn Care & Sprinklers, Decks, Patios & Outdoor Enclosures. Find a Washington landscape architect on Houzz. Narrow your search in the Professionals section of the website to Washington D.C., DC landscape architects and designers. You can also look through Washington D.C., DC photos to find a space you like, then contact the professional who posted the photo.